Marketing is the lifeblood of any company and can seriously make that crucial difference between a successful product and a mediocre one. When a product garners enough consumer attention and affection, this creates brand loyalty, in other words the consumer will be more likely to purchase that particular product even though competitors may offer it at a lower price. A good marketing campaign and a good consumer profile takes on an especially significant purpose in the cut throat and highly competitive world of cars, and in some exceptionally rare circumstances has resulted in near legendary cars. Now these cars are not any more powerful quicker or stronger than their peers, they do not boast secret gadgets, or gimmicks. 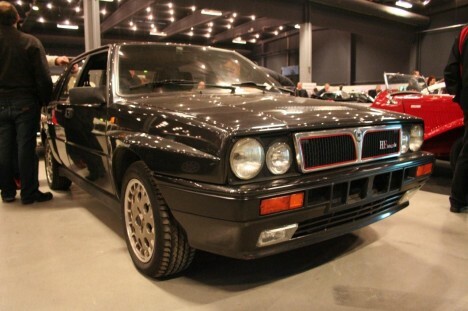 Instead, through a combination of excellent performance, great price, strategic targeting of the relevant markets and with a dash of good luck, some classic cars have been blessed with a near mythological status and one such vehicle is the Lancia Delta Integrale 1987. When compared to other vehicles, the Lancia Delta Integrale 1987 does not look like much, having begun its life as a family car which as a general rule are on the whole, rather conspicuously missing from the annals of great cars in the whole of history. First created in 1979, the Lancia Delta Integrale 1987 has been going strong until even to this very day, a true testimony to the lasting durability and the cult like following this humble little car has managed to attract. The Lancia Delta Integrale 1987 is a car that punches well above its weight. Much of the prestige and admiration for the Lancia Delta Integrale 1987 came about as it managed to beat overwhelming odds and secure victory after victory in various racing rallies both on an amateur and professional basis. Lancia can afford to be smug what with the amount of kudos they managed to earn: whilst they managed to secure for themselves 11 victories during the World Rally Championships, of this 11, 6 were won by the Lancia Delta Integrale 1987. The Lancia company seemed to have an uncanny sense of perception, eerily close to a sixth sense as to what would happen next in the market. For example, during the 80’s rally racing was becoming increasingly stringent and more heavily regulated in an attempt to reduce the ever rising (and indeed concerning) number of accidents, and fatalities that were occurring on a regular basis. This meant that many of the previous models used for racing were made useless and redundant, with the Lancia company being the only car manufacturer that had a car that was suitable and complied with the new racing regulations. As to what extent this fact had in their successes and number of victories remains subject to speculation, but what is clear is that the Lancia Delta Integrale 1987 was an extremely cutting edge car at the time, which was not only a cut above the competition, but in an entirely different league of its own.